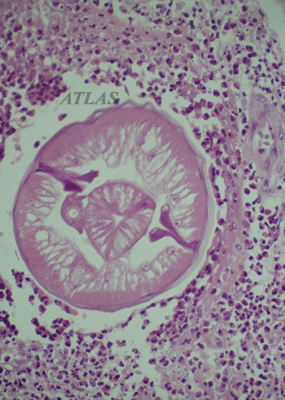 Gastrofiberscopic findings in gastric anisakiasis. 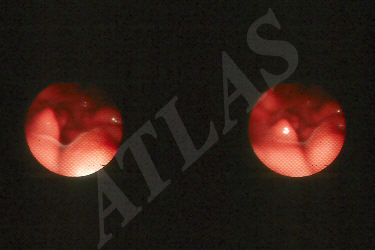 Haemorrhage and edematous mucosa with erosion are observed. 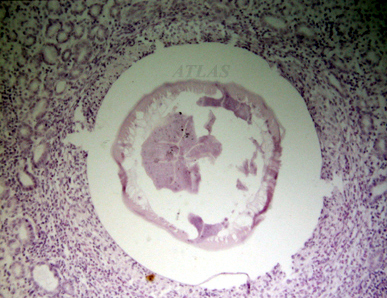 Experimental anisakiasis in rabbit stomach. 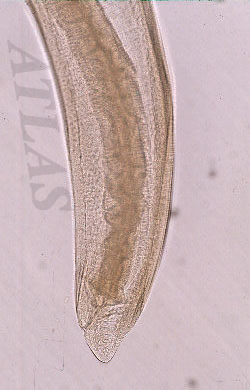 Y-shaped lateral cords are distinct on the transverse sections of the larvae. 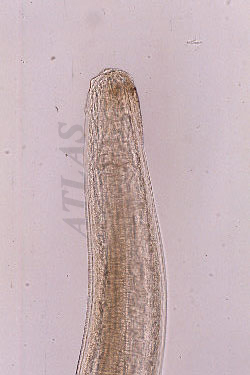 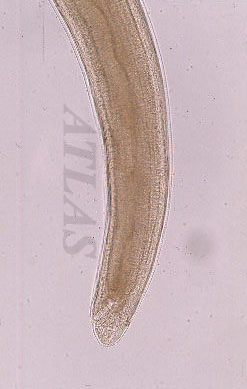 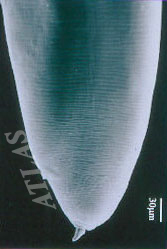 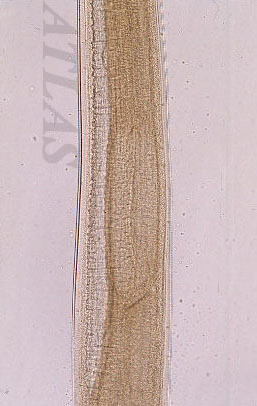 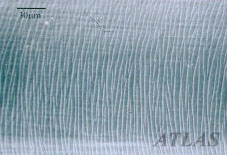 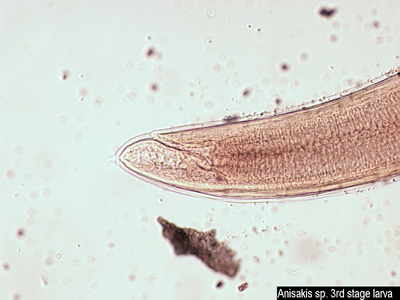 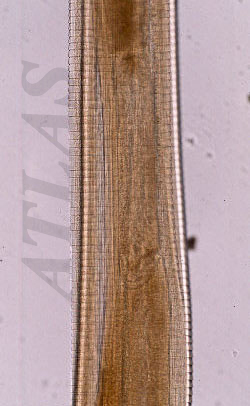 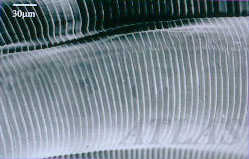 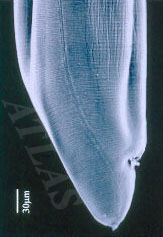 A cross section of anisakid larva shows thich polymyarian muscle layer, ventriculus, Rennette cell, and bi-columned lateral cords. 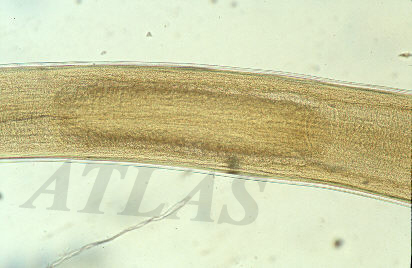 Note an cellular infiltration around the larva. 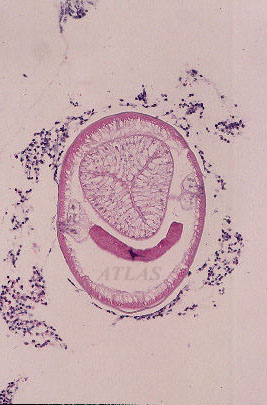 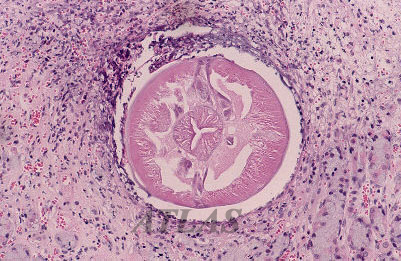 H & E stain. 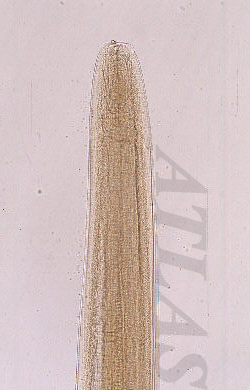 Cross sectional view of the esophagus-level of A. simplex larva, H&E stained. 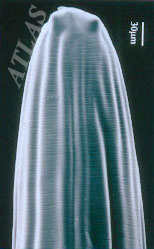 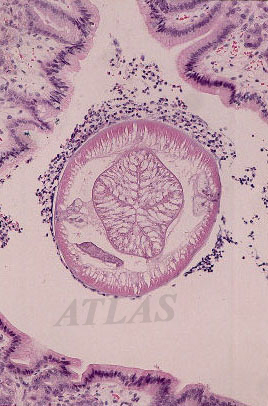 Cross sectional view of the anterior intestinal-level of A. simplex larva, H&E stained. 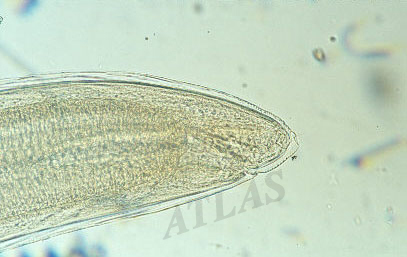 Cross sectional view of the middle intestinal-level of A. simplex larva, H&E stained. 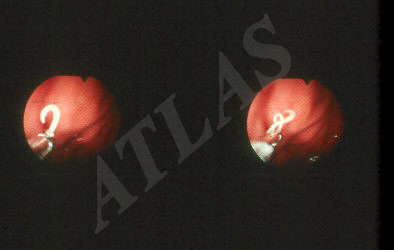 Endoscopic view of gastric anisakiasis.